Having an Android smartphone means you can enjoy many new and free apps from the Google Play store which will make ease and comfort in your life. So, if you have just got a new Android smartphone, you would want to load it with some useful apps for extra features and fun. You might be interested in Best USB Microphones. 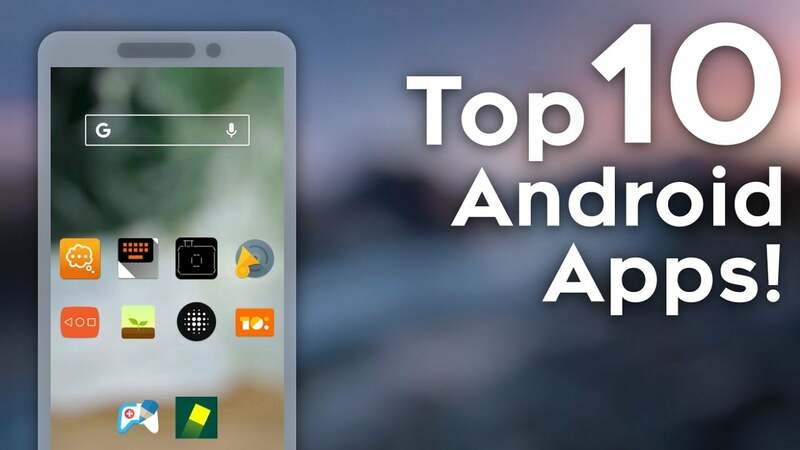 We have compiled a list of the top 10 android apps so that you can enjoy exploring your android phone with these apps. The apps are categorized on the bases of features, productivity, and user reviews. So let’s have a look at all the 10 android apps that you should have to enjoy your Smartphone’s features. Swiftkey keyboard is a perfect choice for any Android user. If you don’t like the look of your current Android keyboard, you can download this app to make your keyboard more customizable. You can change the color, writing texts and auto-correction options in this keyboard. The AI technology allows you to type different words even without completing. This keyboard has got a lot more features such as emojis, 150 languages support, and text to speech option. The application is owned by Microsoft and is free on Google Play store. Flipboard is a news app. It can do a lot of work for you in the field of different news and articles. Download it from Google Play Store for free, set your preferences such as sports, international news, etc. and drive into the world of countless news articles daily available on your android phone. This application is also responsible for giving you the new and latest updates on any news as well. You can easily customize your preferences n the options menu of this application. Google keep an application made solely for capturing your ideas and thoughts at the exact spot. You can create different kind of notes, lists and to-do tasks on this application. You can also label different lists with different colors and make them more organized. You can also add different reminders, and this app will remind you the specific task of the time you have set it on. This application is a pioneer of speed and simplicity and is perfect for remembering different tasks and ideas as well. You are a song lover and want to listen to different music genre on a single application? Soundcloud is the best choice for you in this regard. This music application is free on Google Play store, and you can download it to listen to free music anytime anywhere. One of the great features in this application is its offline availability. You have to listen to the song one time on data charges, and it will automatically sync the specific song for you in offline mode. So, you can hear your favorite song without any data charges. What’s the point of keeping a smartphone when it doesn’t have any weather app in it? In short, a weather app is a must for every android phone. This is where AccuWeather becomes handy for you as it provides you the daily and future weather updates. This app also allows the weather forecast, wind speed, rain probability and many other basic weather features. This application is available free on Google Play store, but if you want an ad-free version, you will have to spend some bucks on it. Pocket lest you save the online content you want to see or read later easily. This application is perfectly suitable for people who don’t have time, and they want to read articles and watch different videos when they are free, and there is no internet around. The application also uses tag feature so that you can make your content organized. the saved content can be read or watched easily in offline mode as well. This application has also got a premium version which has a lot more features than the simpler one. Pixlr is one of the best and most famous photo editing app available at the Google Play store for free. With introducing a million combinations of effects, filters, frames and many other features, you can now edit your photos like a pro. you can also add texts and frames to your photos and selfies. The option of adding different emojis to your photos is also available in this application. Download it and enjoy editing your photos and selfies like a pro. Zedge application, in short, is the jack of all trades. It can do anything you want from it for your android smartphone. You can download wallpapers, videos, images, songs, movies by simply clicking on the download button in this app. Zedge also allows you to keep things organized and has made specific categories for different genres and things. This app also allows you to check for new wallpapers, videos, and songs and also gives notifications about the latest movies, etc. Its free but come with ads which is a short come of free applications. TickTick is a task manager app that is helpful for you in performing different tasks with ease and convenience. This app allows you to add reminders, task lists, and even shopping lists. You can also customize and prioritize them with different labels available in this application. The application also comes up with a built-in calendar that is very helpful in sorting out different plans easily. It is available free on Play store, but if you want to enjoy premium features, you have to spend some money on this. TuneIn Radio is an application with different radio channels all over the world. You can access round about 120,000 radio channels both international and national. You can enjoy different programs, songs and news updates on your favorite radio station as well. The application also allows over 6 million podcasts which makes one of the most famous entertaining apps on the play store. You can download it free but for more radio stations you will have to spend some dollars for the monthly subscription. So, now you have got an idea about the ten best apps for a new smartphone, and we are pretty sure that now you can download the best ones you want and start enjoying different features on your favorite Android smartphone as well. please give me some critical future app idea ..